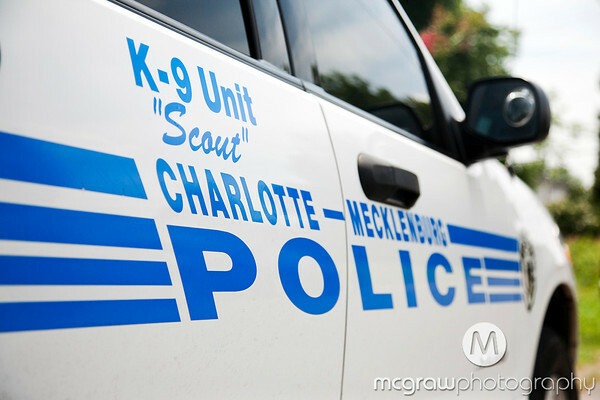 For the second year, a local dog daycare will be hosting a charity dog wash to support the Charlotte-Mecklenburg Police Department’s Canine Unit. Dogtopia of Charlotte’s 2nd Annual K9 Support Dog Wash is scheduled for this Saturday, July 16 from 11 a.m. until 4 p.m. For a $10 donation your dog will get a bath that includes a shampoo, towel-dry, fragrant spritz and bandana. Last year Dogtopia washed 93 dogs and raised $1,429 to provide each handler and his dog a K-9 Tactical Field Kit, which provides the essential equipment to render care to an injured K9 when veterinary care is not immediately available. This year the officers are hoping to purchase GPS units and collars so they can easily track their dogs over long distances. Since each GPS unit costs almost $600 each, Dogtopia’s goal this year is to raise $2,500 or more. Charlotte-Mecklenburg Animal Care & Control will be on-site providing low-cost microchips for just $10. Dr. Micheal Thomann will provide a low-cost vaccine clinic where you can get all your dog’s yearly vaccines for just $69 (appointments requested). You’ll also be able to get a luau-themed family portrait from Life Through The Lens Photography. For a small donation Dogtopia will also be offering canine and human massages, nail trims, dog painting canvases and a raffle with prizes from the vendors in attendance. Dogtopia recommends you park at the Woodlawn Park & Ride on Olde Pineville Rd. For questions or more information you can e-mail Dogtopia or call 704−333−3063. Will there be more charity dog washes this summer/fall?